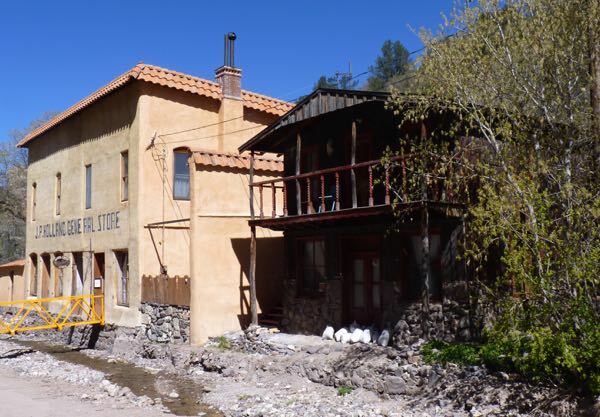 There are lots of places in the southwest called Mogollón. 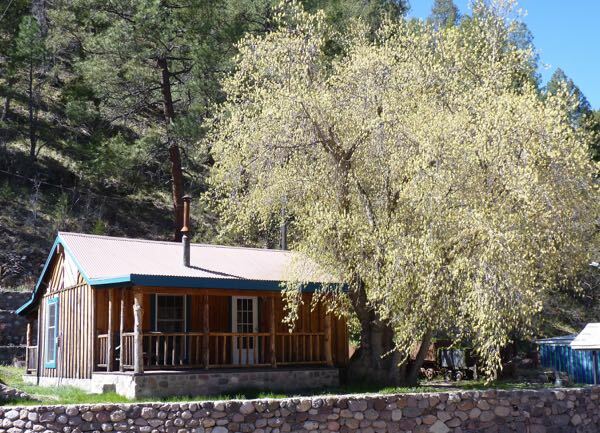 The one I went to was in western New Mexico off of US-180 and just north of the popular Catwalk National Recreational Trail near Glenwood. 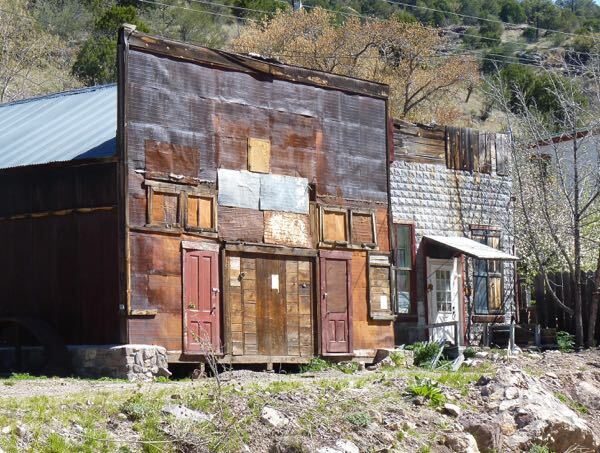 A well maintained ghost town was worth the 9 mile trip up into the mountains. 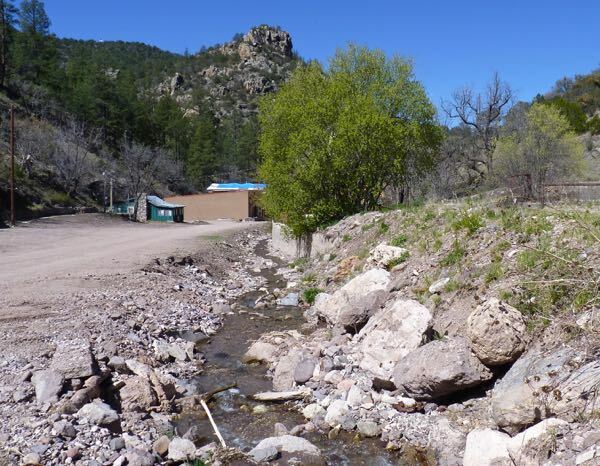 In 2013, a devastating flood did extensive damage to the former mining town. They were still fixing it up when I was there, and none of the historic shops were open yet. Still, I was allowed to roam around and take photos. It was a neat place in a scenic canyon setting. There was a pull-off, a few miles before the town. Possibly a trail leading to the old mining site (visible driving down the road). At least, that was my guess as it wasn’t marked. The small parking area was filled with cars, so there was no room for Tardis. 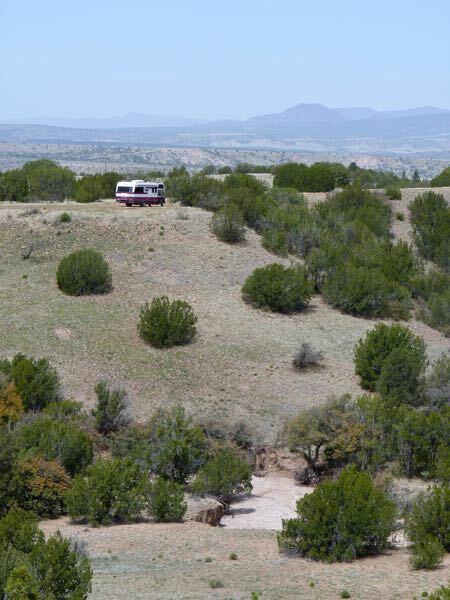 I found an ideal dispersed campsite along NM-159 that went to the town. The spot was on a ridge overlooking a wash with views of hills, the Sierra Aguilada to the west and Mogollón Mountains to the east. It was easy to get level and had a good internet signal. At 5,136 ft the springtime weather was near perfect. Note: NM-159 leading to Mogollón was a two-lane paved road for about half-way. Then it turned into one lane and got very twisty with tight switchbacks and rocky walls close to the road. The last mile turned to gravel and signs recommended high clearance vehicles only. However, I made it OK to the ghost town. After the town though the warning should be heeded. Any rig longer than 24 ft should not go beyond the two-lane portion of the road. Thanks for the entry. 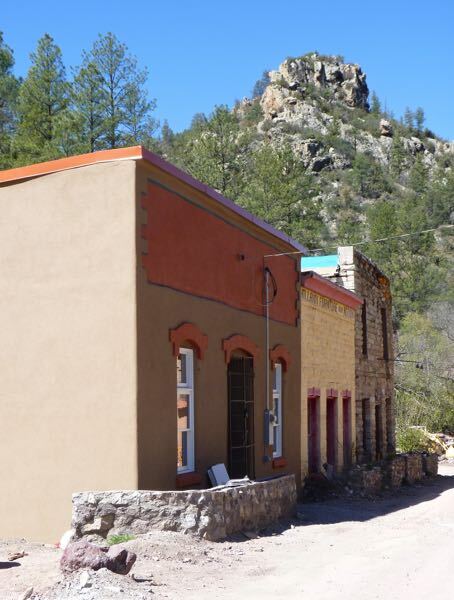 I put Mogollon Ghost Town on my to see list. Glad it was helpful. You will likely enjoy it.